From Email Subscribers version 4.0. One can create different forms with new Email Subscribers and the use of those different forms for a different purpose. 5. 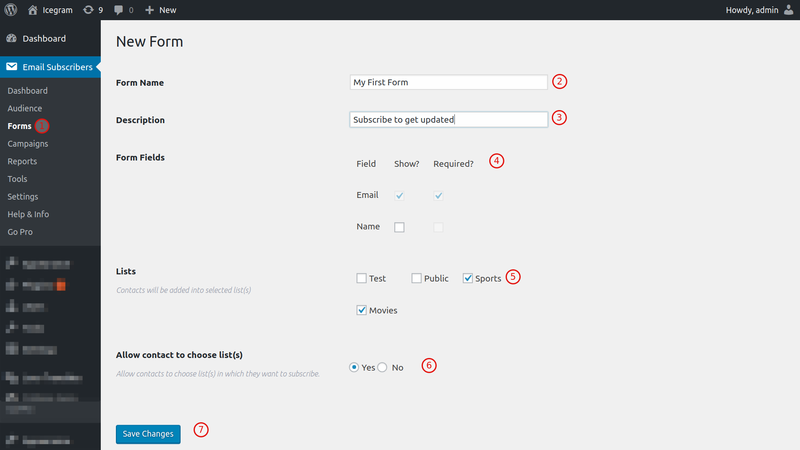 Allow contact to choose list(s) :Allow contacts to choose list(s) in which they want to subscribe.